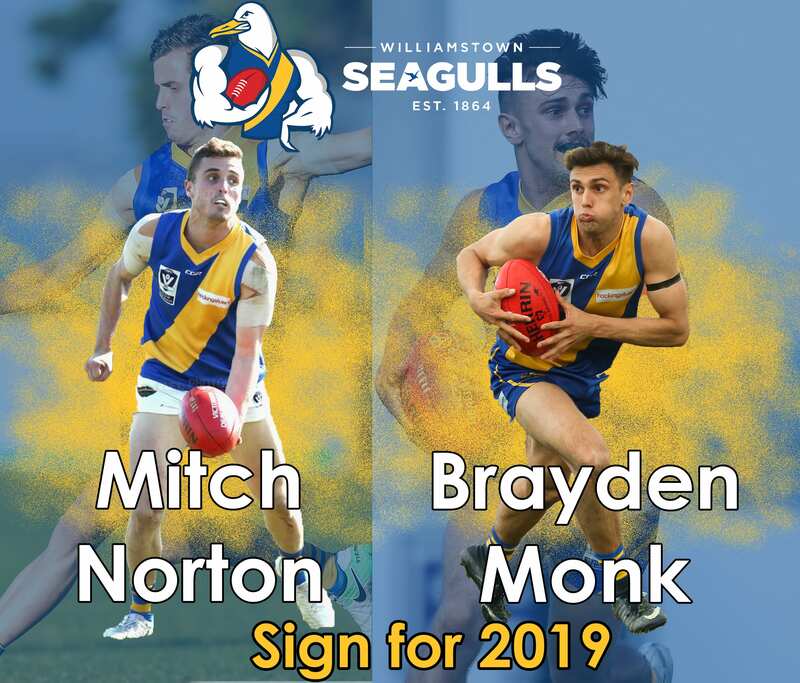 Williamstown Football Club can announce the re-signing of two of our up and coming stars in Brayden Monk and Mitch Norton for the 2019 season. 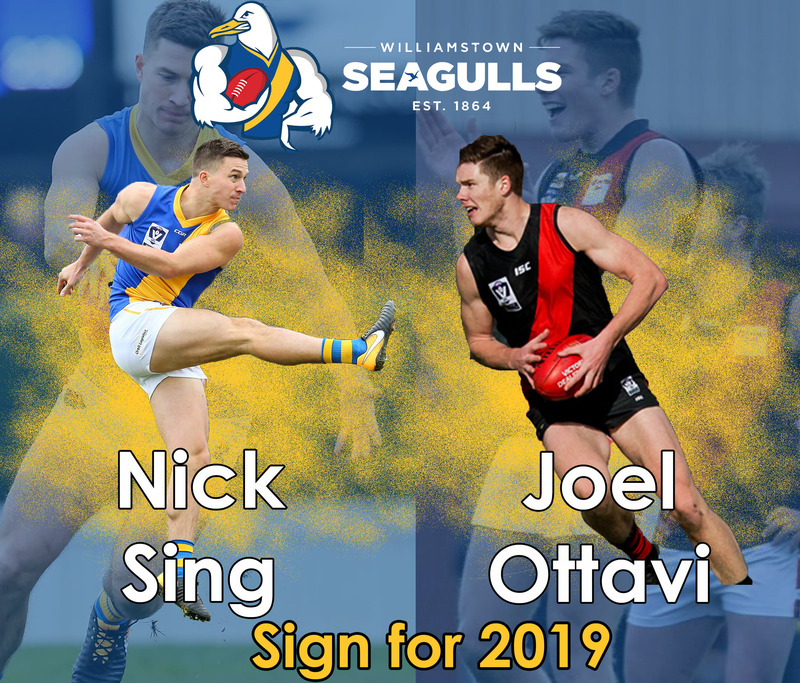 Williamstown Football Club is delighted to announce the signings of Nick Sing and Joel Ottavi for the 2019 season. 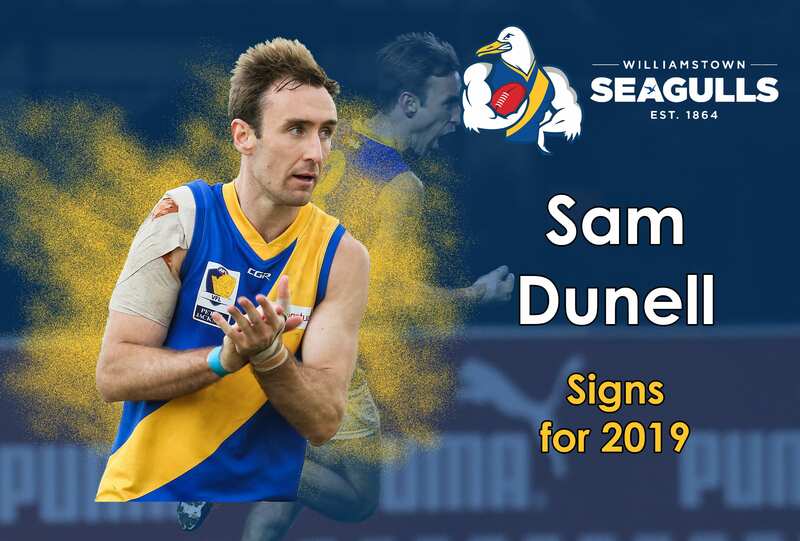 Williamstown Football Club is thrilled to announce the re-signing of star forward Sam Dunell and defender Jack Charleston for the 2019 season. 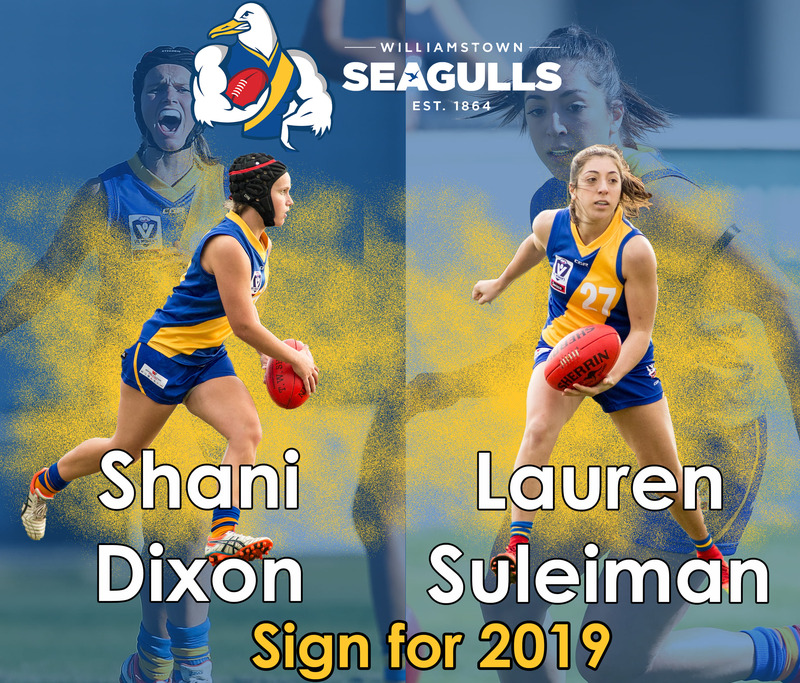 Williamstown Football Club can announce the re-signings of Shani Dixon and Lauren Suleiman for the 2019 season. 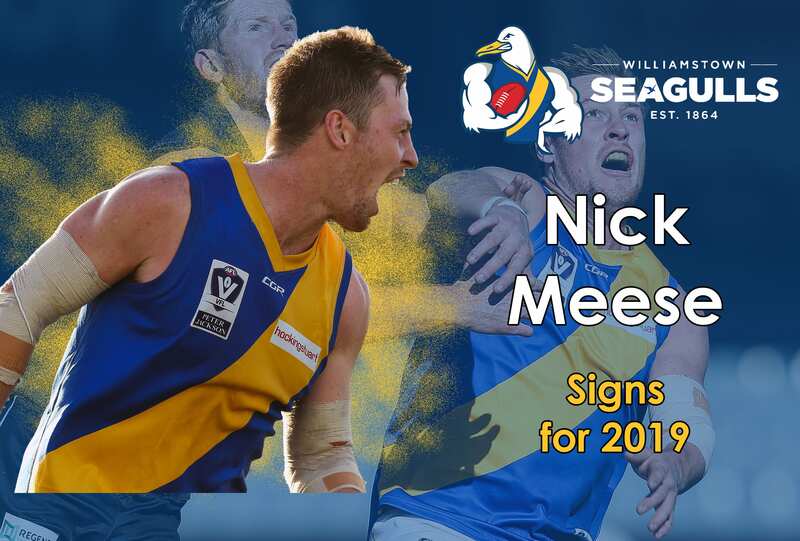 Williamstown Football Club is thrilled to announce premiership ruckman Nick Meese has re-signed for the 2019 season. 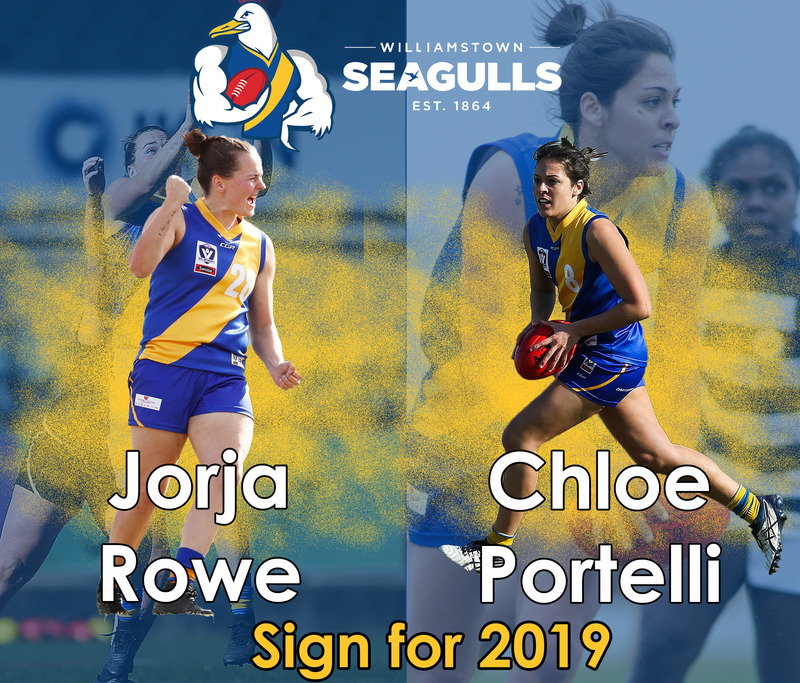 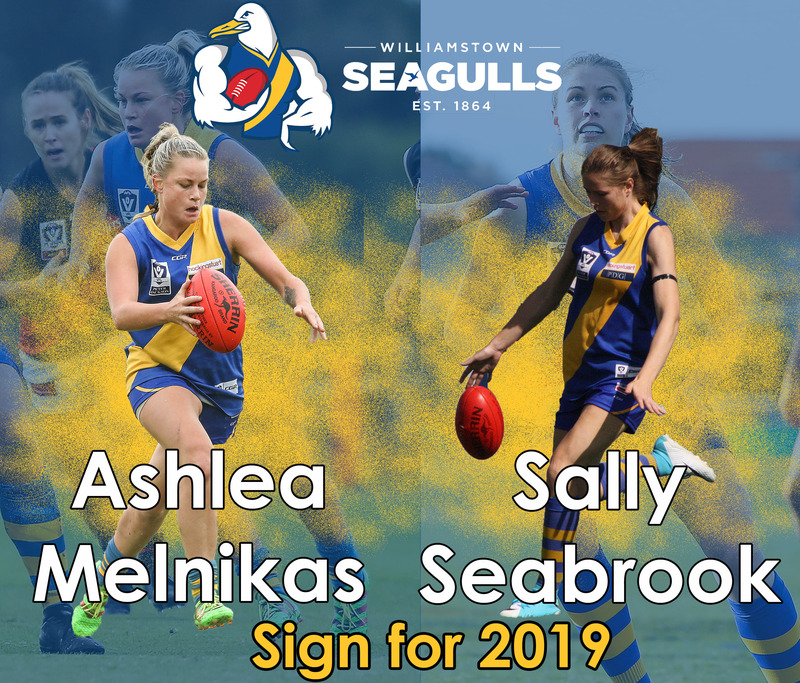 Williamstown Football Club can announce the re-signings of VFLW Seagulls Ashlea Melnikas and Sally Seabrook for the 2019 season. 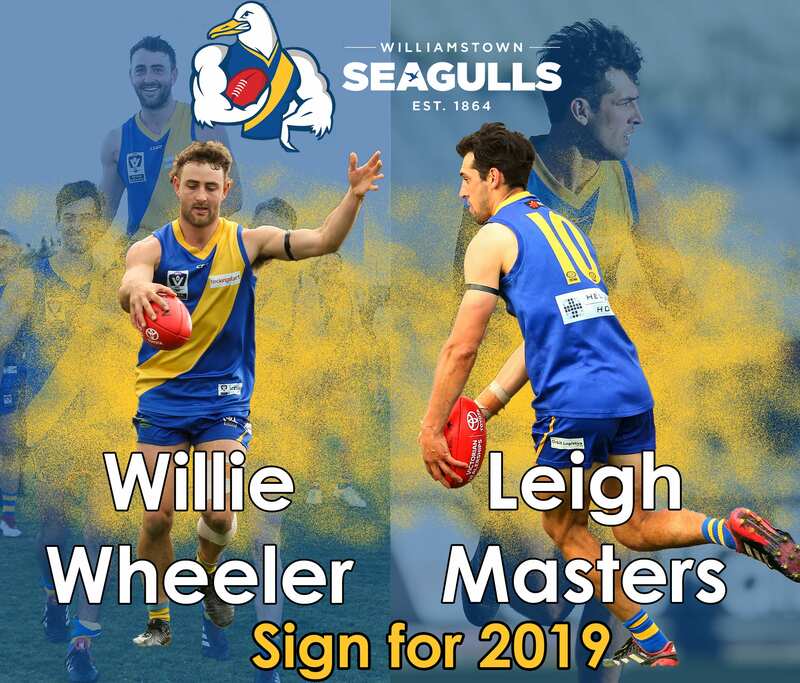 Williamstown Football Club is delighted to announce the re-signings of newly inducted life members Willie Wheeler and Leigh Masters.s. 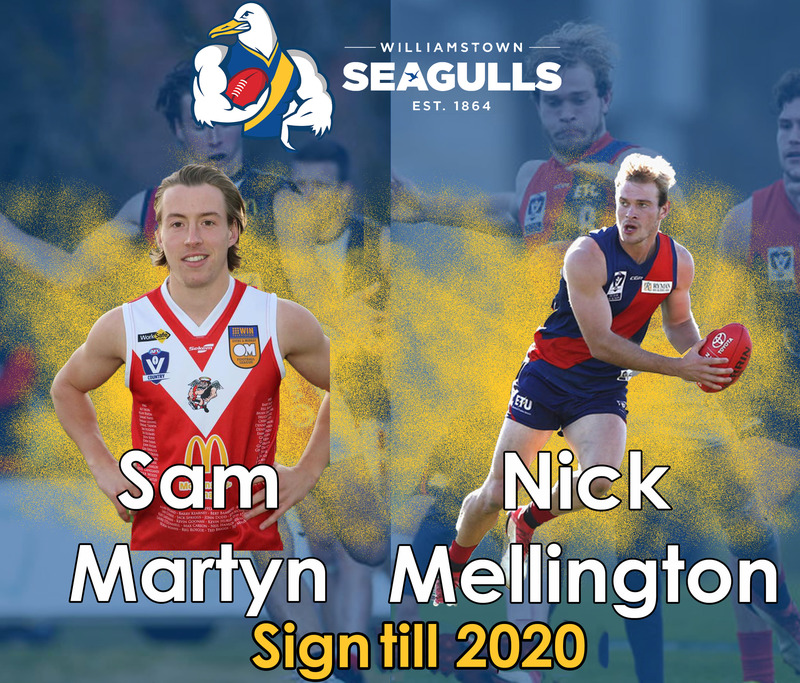 Williamstown Football Club can announce the signings of former Murray Bushrangers pair Nick Mellington and Sam Martyn for the next two seasons. 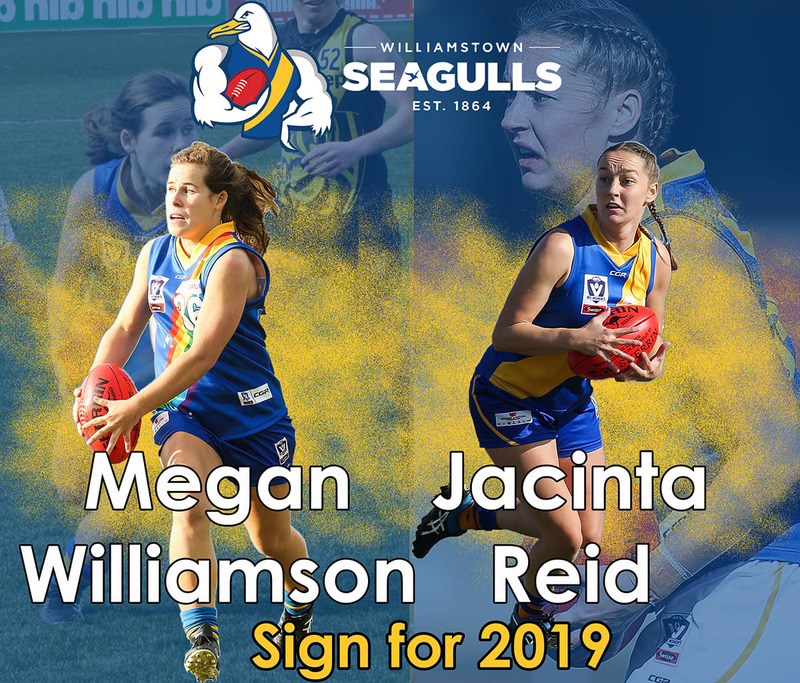 Two of our most promising VFLW players in Jacinta Reid and Megan Williamson have re-signed for the 2019 season.